The PH manual pump discharges 0.15 cu.in. per stroke. The unit can be assembled with a clear plastic or metal modu-flo reservoir. Reservoir sizes available are 5, 6, 12, or 20 pint or pound capacity. The maximum operating pressure is 3000 PSI (207 bar). 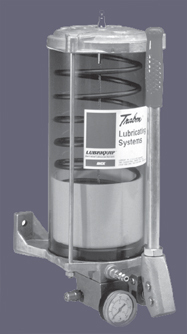 The unit is designed to dispense oil or grease.